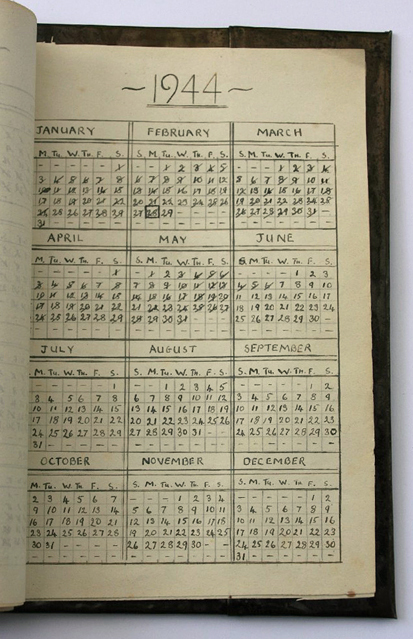 The last few pages of Robert Dickinson’s journal, “Servigliano Calling,” contain calendars for the years 1941–44. 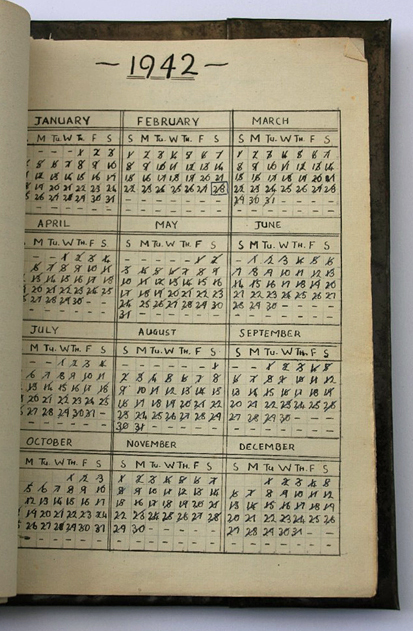 Each of these calendars is meticulously drawn and accurate; the 1944 calendar includes February 29th, as it was a leap year. The strikes-throughs marking each passing day begin on Sunday, November 23rd, the day Robert was captured by the Germans. The last strike was through June 6, 1944. 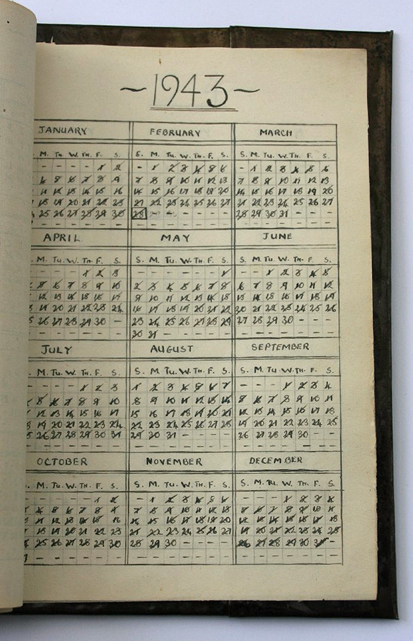 But, curiously, Robert continued to record daily events in his journal through September 3, 1944. Why did he decide to stop marking out the days? This entry was posted in Robert Dickinson, Servigliano Calling on January 1, 2009 by Dennis Hill.